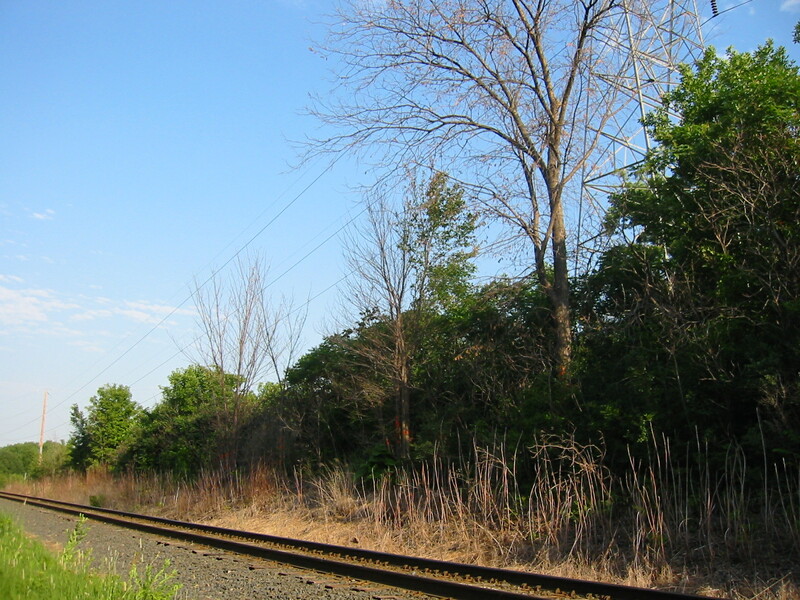 In June 2012 the Canadian Pacific / Soo Line Railroad began what appears to be a new effort to clear vegetation along its right of way through areas adjacent to Columbia Park. A wider zone of dead annual plants, and now trees as well, suddenly appeared: probably sprayed with chemical unknown. 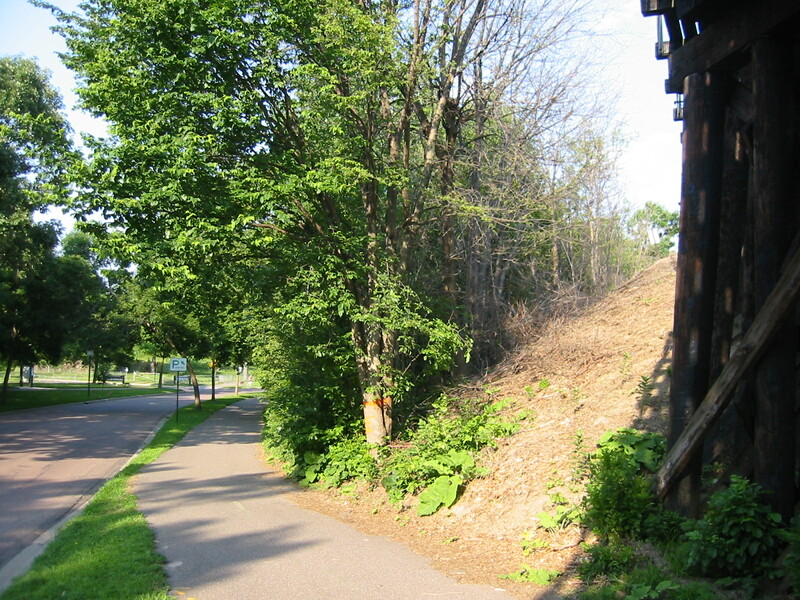 An inquiry to Minneapolis Parks commissioner Liz Wielinski brought a response that the railroad has a free hand within one hundred feet on either side of the tracks, which would seem to include broad swaths of park land, including old oak woods between the railroad and the rugby pitch. Her staff provided an aerial view of Columbia Park property marked to show the legal limit of railroad impact. 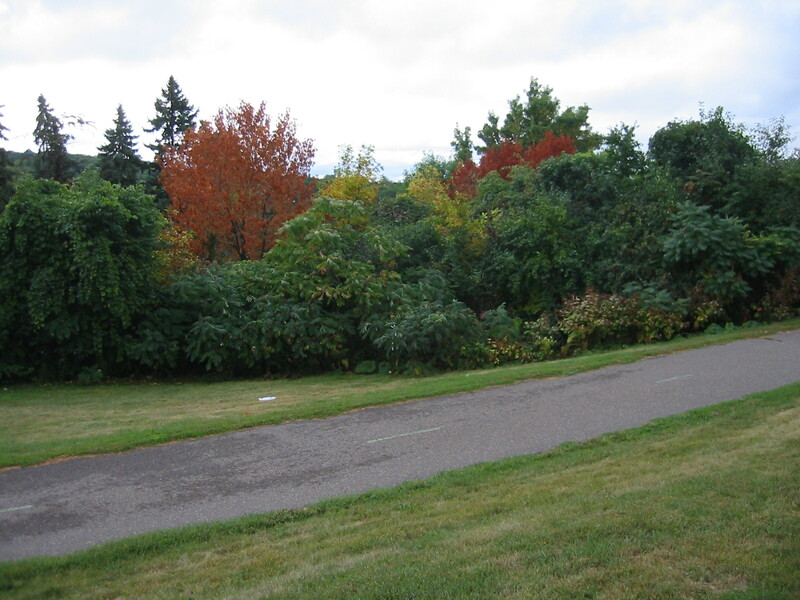 One might be interested in picking and eating raspberries and elderberries along the bottom of the railroad embankment along 36th Avenue between Columbia Parkway and 5th Street. Considering how close they are to the railroad tracks, one probably ought to let them be. 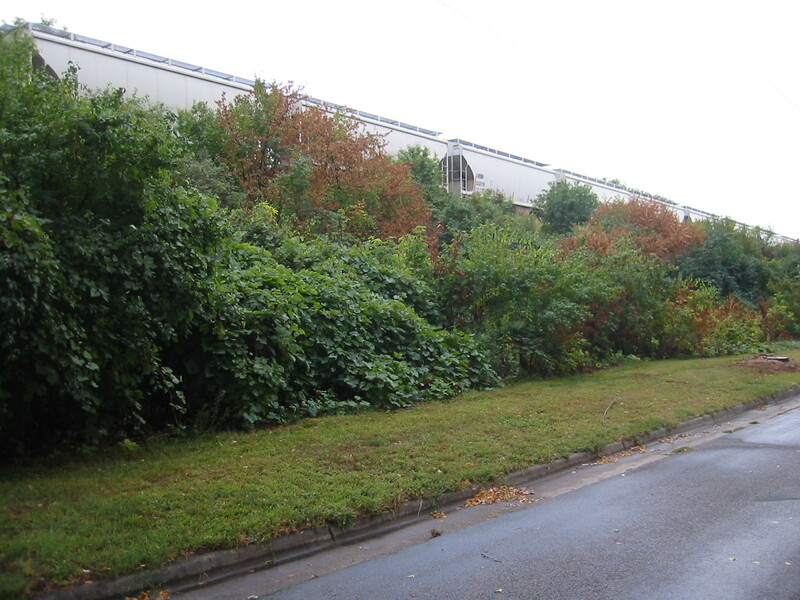 At the Shoreham Area Advisory Committee meeting on July 9, Brenda Rivera, the railroad’s PR advisor of community relations, told us that a contractor sprays “for weeds” along the tracks twice a year during the day. She did not know what chemical is used but will get back to us.